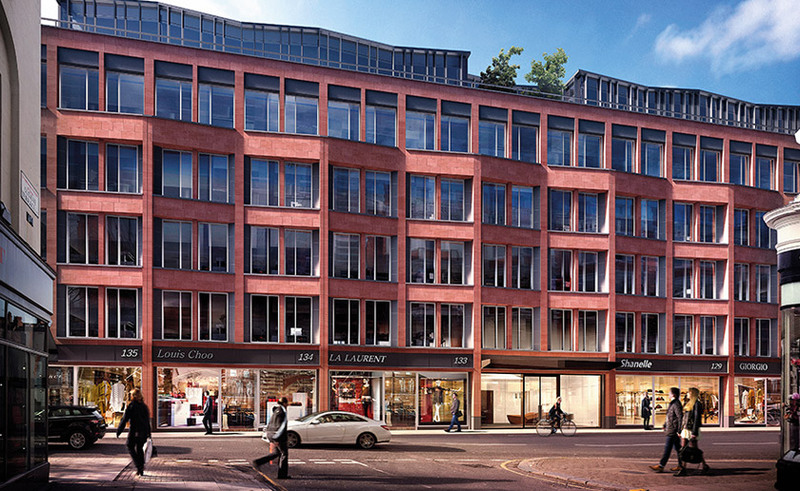 Three international luxury brands are opening their debut UK stores at Cadogan’s 131 Sloane Street development. Dubai-based multi-brand store Boutique 1, Madrid fashion house Delpozo and Italy’s Red Valentino are all opening flagship stores at the mixed use scheme. Boutique 1 has taken in excess of 11,500 sq ft across three floors. Delpozo has taken in excess of 3,000sq ft across two floors, and Red Valentino has signed up for more than 2,500 sq ft.
Cadogan chief executive Hugh Seaborn said: “These three international luxury brands are an exciting addition to the south end of Sloane Street. 131 Sloane Street spans more than 100,000 sq ft in total and contains five floors of office space as well as three floors of retail. Nash Bond acted for Cadogan.